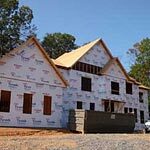 At Townsend Building Supply we understand the unique needs of the residential builder and remodeler. With 70 years of experience supplying the residential contractor we have gained valuable knowledge about the industry and your unique needs. We have a knowledgeable staff of sales people that are always ready to help you with your next project. We have a large fleet of delivery vehicles and forklifts that enable us to make timely and accurate deliveries to your jobsite. We have also invested heavily in technology to provide your bookkeeping department with accurate and timely billing. With our three divisions (lumber yard, truss plant and Andersen window and door showroom) we can help you with all aspects of your business and help you satisfy your customer and become more profitable. If you haven’t checked us out, please do. We are confident if you give us a chance to serve you we can make you more successful. At Townsend Building Supply we have expanded the range of our skills in recent years. With our acquisitions of facilities, equipment and people we have gained the unique skills required by the Commercial and Multi-Family contractor. We have the ability to give you accurate takeoffs and material quotes so that you can properly ascertain the cost of your project. With our design and engineering department in our truss plant we can help with most design challenges you may face in your commercial projects. Our three divisions (Lumber yard, Truss Plant and Andersen window and door showroom) provide us the skills necessary to serve you in each phase of your project – from design and estimating, rough framing material acquisition and delivery and finish material acquisition and delivery. We also pride ourselves in being able to provide you with accurate and timely billing to help your accounting department manage the financial aspects of your project. We are confident that we can help you become more successful if you choose us as your partner for your next project. With our decades of experience, Townsend Building Supply has gained an incredible amount of expertise in the construction industry. Let us put that knowledge and experience to use to help you with your next project. With five lumber yards, a truss plant and an Andersen Window and Door showroom in the Wiregrass we have all the resources necessary to see that you have everything you need to complete your project no matter how large or small. 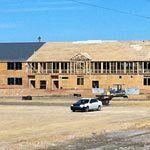 Also, with our contacts to the construction industry in the Wiregrass area we can always help you find the right contractor in the area for those projects that are just a little too large for you to handle on your own.